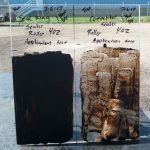 Do you have an asphalt driveway that’s really beginning to show its age? If so, you likely are looking into ways to bring it back to its original luster. 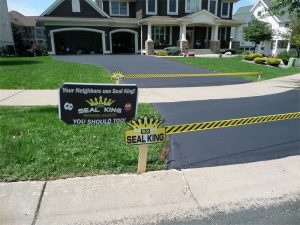 Thankfully the asphalt professionals at Seal King are up to the task. 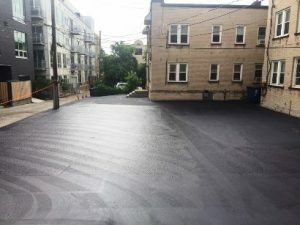 We offer a wide array of sealcoating services that can not only restore your driveway to the condition it was in when the asphalt was actually poured, but also allows you to protect your driveway for years to come. 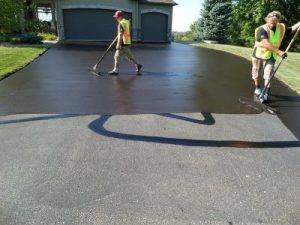 Asphalt maintenance is critical to ensuring your driveway will stand up to the rigors of our Minnesota and Wisconsin weather. It’s that time of the year again in Wisconsin where we enjoy our football, and then we get to work on prepping for a long and cold winter. Sealcoating is a process that helps your asphalt maintain its integrity all throughout the year, so protecting your asphalt with sealcoating is essential for your driveway withstanding the winter. Whether you are sipping on your favorite pumpkin spiced beverage, or making your to-do list for this fall, don’t forget to include calling Seal King Professional Sealcoating for our fall sealcoating services. Believe us when we say that your asphalt will thank you for it next year. How Late Is Too Late For Sealcoating My Driveway? 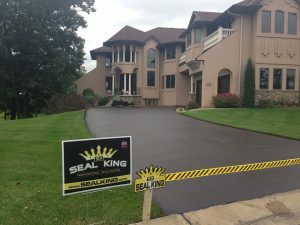 At Seal King Professional Sealcoating, we often get the question from our clients regarding how late in the season is too late for sealcoating a driveway. The simple answer is to ensure that you sealcoat your driveway before the first big frost of the winter. The fall season is an ideal time to sealcoat your driveway. That way our professional sealcoating application has a chance to fully dry before mother nature tries to take a toll on your driveway this winter. 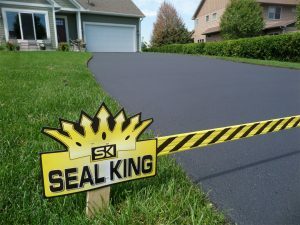 At Seal King Professional Sealcoating, we want you to get the absolute best out of your newly sealcoated driveway. 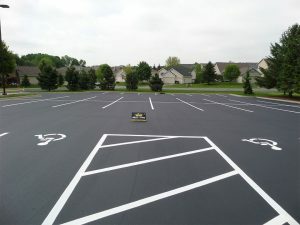 Now is a great time of the year to restore the look and surface protection of your asphalt driveway, parking lot or pathway with the help of a professional seal coating company. 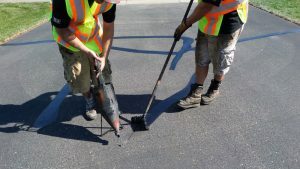 Seal King has the experience, equipment and skills to repair areas of the blacktop surface that have been damaged from exposure to chemicals and climate conditions. 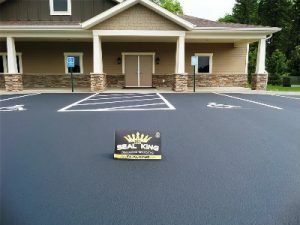 Some of the things that sets Seal King apart from other seal coating companies is the quality of our products, expertise in the asphalt restoration business and great attention to detail. 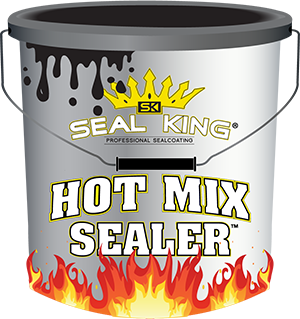 Seal King technicians are experts in the hot mix sealer application process that can produce near flawless results for all types of residential and commercial asphalt maintenance projects, both large and small. 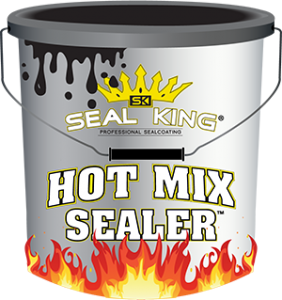 And the only way you can get this hot mix sealer applied to your asphalt is by contracting a Seal King Professional. Sealcoating is a must in the areas that we live in. From the hot, humid summers to the frigid temperatures of the winter, our asphalt is known for expanding and shrinking all in a matter of one year. Imagine what this does to our driveways and sidewalks all around the area. 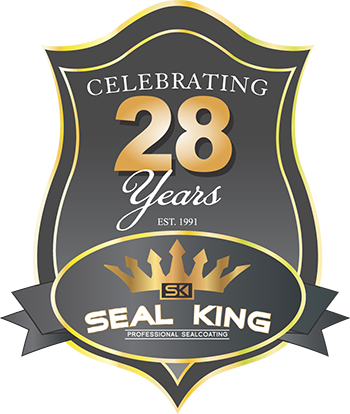 At Seal King Professional Sealcoating, our sealcoating works to slow down that process.